At Nordica you will find a wide choice of properties backed up by a multilingual team of professionals who are there to help. Our team is dedicated to looking after our clients, be they homebuyers, homeowners or people searching for short or long-term rentals in the Marbella area. With a longstanding reputation and experience since 1981, we know Marbella and especially the Nueva Andalucía area like the back of our hand, and are proud to be called the Nueva Andalucía property specialists. So please, feel free to drop into our office and see if we can be of help with advice or in finding the right property for your needs. You will find a friendly yet professional atmosphere and people with the skills and the desire to be of service, and if you happen to pass by on a Friday afternoon around 6pm, then please join us for a sip of wine and a friendly conversation. 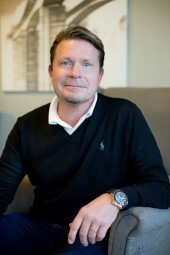 Born in Gothenburg, Sweden, Peter has lived in Marbella since 1981. 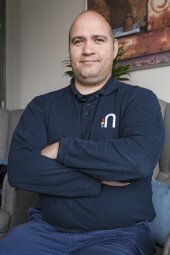 He earned his stripes in the business working with his father and brother at Nordica which his father had founded in the early 80's. Peter leads the sales team by example and loves the interaction with clients, but has also built up longstanding relationships with banks and developers. "You meet such varied and interesting people, and you want to do right by them so we only source properties that we would be confident to sell on for them again." 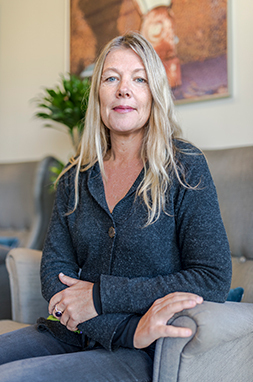 From Svenljunga in Sweden, Anna-Lena came to Marbella as an au pair and fell in love twice - with Marbella and with Peter. The couple have since built the business up together, with Anna-Lena heading up a highly successful rentals department and providing the main structure within the office. Dearly loved by their staff, she and Peter have succeeded not only in building a solid company but also in creating a fantastic working atmosphere. Hailing from Lahti in Finland, Päivi's job as airhostess with Finnair allowed her to compare different parts of the world before opting for Spain. "I settled in Sitges near Barcelona, but the weather wasn't so great so I moved to Marbella and have never looked back". Having worked with Peter's father she is an integral part of Nordica's special atmosphere, and admits she couldn't imagine ever working for a different real estate company. TIP: Marbella is a great place. Years I enjoyed the endless nights: Old town, Marbella port and Puerto Banús. Nowadays I wake up at the same time I used to come home... there is a time for everything. I love to walk with my dogs on Sierra Blanca or on the beach... early, really early... enjoying the best what Marbella can offer: Superb climate! It is worthwhile to find a rock to sit on, take a deep breath and relax! 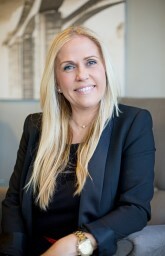 Gabriel Dandanell, who hails from Västeras in Sweden, joined the sales department in 2014. A semi-professional golfer with a background in sales, he quickly became an invaluable member of the team and has built up excellent relationships with a network of agents since he moved back to the Costa del Sol. “I grew up in this region and am so happy to be back and able to enjoy this unique lifestyle once again,” says Gabriel, who loves working with "such a fun and dynamic team". With the company since 2001, Elin came to Spain fresh out of college in Sweden and the US. What was meant as a short stay to perfect her Spanish soon turned into a permanent move inspired by Marbella's lifestyle. 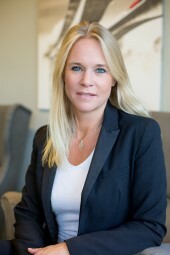 Tough when she needs to be, Elin is ideally suited for her role in accounts yet can also bring a lot of joy into an office where a great team atmosphere forms the basis for typical Scandinavian efficiency. Lively and bubbly, Minerva hails from an artistic background that has led her via Finland and Sweden to her ancestral Spain. The fast pace of work and problem solving required in a service-oriented business like rentals suits her well, and she relishes the challenges posed by the job. 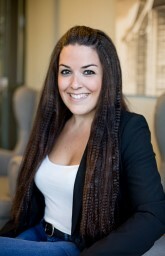 She enjoys a close relationship with both homeowners and tennants, and has a gift for reading their needs well. 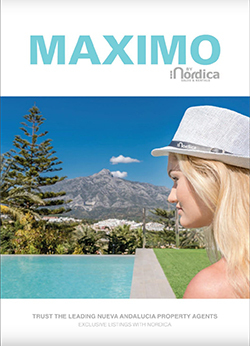 From nearby Estepona, Nieves was on work experience with Nordica when she was offered the job fulltime. With studies in tourism and a desire to perfect her English, she was the ideal candidate to fulfil the important central administrative role within the company. 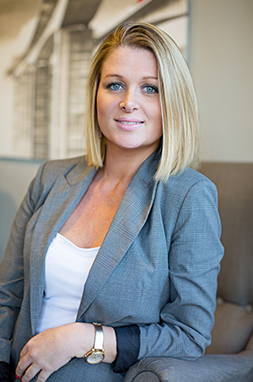 Flexible and keen to learn new things, she is described by her boss as quick, efficient and providing invaluable support to the sales and rentals teams. Born to a Russian mother and American father, Elena spent her early years split between these two very different countries. Having at an early age decided to make the move to Spain, she is now fully fluent in Spanish, as well as English and Russian. She loves Marbella and with her cosmopolitan background fits right in. 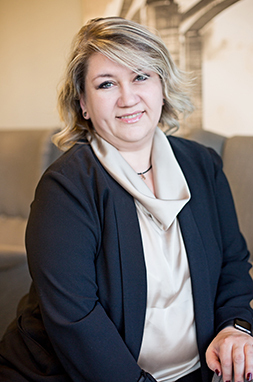 Having joined Nordica in 2013, Elena oversees the rental department and also assists the sales team. 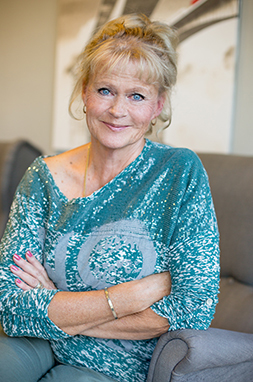 Though a long-time resident of Marbella, Anneli joined the Nordica team early in 2013. “The atmosphere is great and I was made to feel so welcome that it feels like I’ve been a part of the team for much longer,” says Anneli, who first discovered Marbella after finishing college. 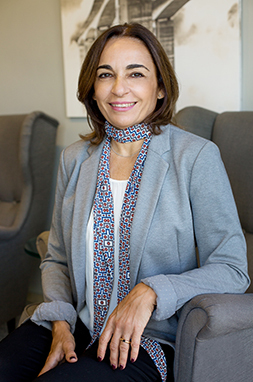 “I used the opportunity to improve my Spanish, fell in love with the place and stayed.” Since then she has raised a family, run a business and now loves working close to home and being the first friendly face clients see when they visit the Nordica office. Pär joined the Nordica team in 2013, and with 27 years of running his own kitchen company in Sweden he has lots of experience in sales and customer service. “I have known Peter since I first started coming here to play golf in the early eighties, so when I sold my business in Sweden he and Anna-Lena invited me to come and join them here. 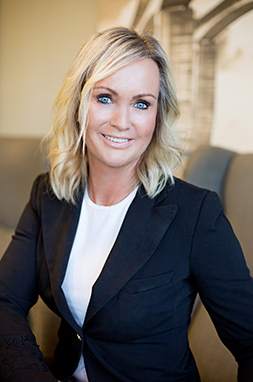 I didn’t need asking twice – the Marbella lifestyle is wonderful and the team they have built up here is fantastic.” Pär has made himself an integral part of a dynamic and successful sales team and is loving every minute of it. 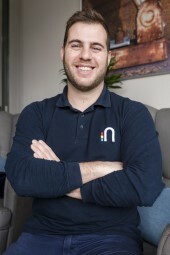 Having joined Nordica in April 2015, Juan Antonio quickly settled in to become a key part of a dynamic rentals team. 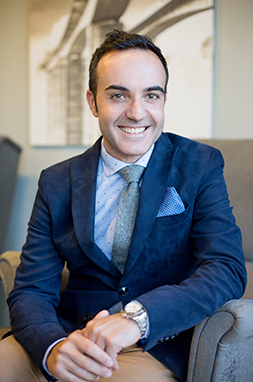 "I love the real estate environment and the contact we have with clients," says Juan Antonio. 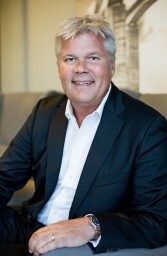 From a tourism background, he worked for large resort hotels before making the move into the home rentals sector. 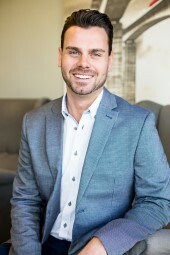 Here he draws upon his flexible, problem-solving approach and friendly demeanour to offer a personable service that makes all the difference to your rental experience. 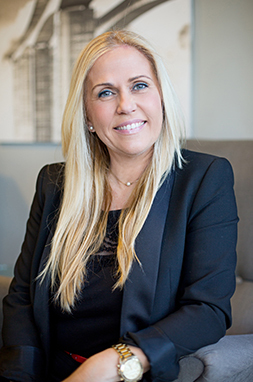 On joining Nordica in 2015, Yolanda brought with her a wealth of experience, having already worked in Marbella real estate for 18 years. “When Peter asked me to join his team it seemed a perfect fit,” says Yolanda, who knows Nueva Andalucía and the Golden Mile area like the back of her hand. 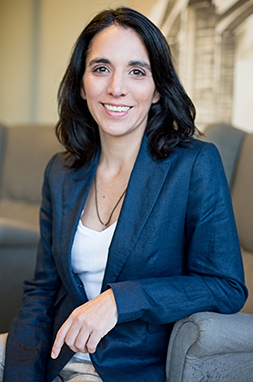 As a flexible, problem-solving person with a real service-oriented approach to her work, Yolanda plays a key role in both the sales and rentals departments. Mena is originally from Buenos Aires, in Argentina. She later moved to Madrid, and though she enjoyed the lifestyle there preferred the pace, security and quality of life that Marbella offers. 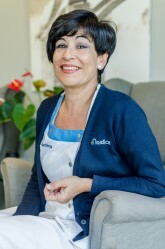 “That said, it gets pretty busy here in summer, but the setting, weather and also the relationship we have with our clients make it a pleasure to work for Nordica.” Mena, who is fluent in English, takes care of the imagery, videos, design work and administration of the company, working closely with Nieves to ensure that everything runs smoothly. 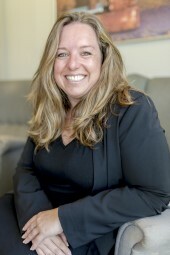 In this, her media background and experience working for television and production companies certainly comes in handy. 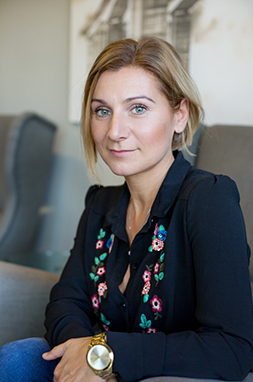 Victoria, who speaks fluent English, French and Spanish, was born in Marbella but her family hail from Belgium and Castile and Leon. 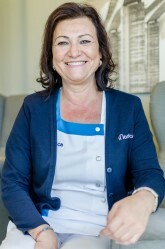 She joined the Nordica team in 2018 as Head of the Housekeeping Department. 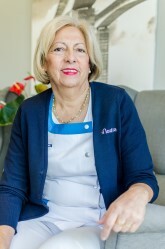 Her role involves managing the cleaning schedules and members of staff to make sure everything is ready for the all important arrival of guests and owners. Her organisation skills and perfectionist tendencies mean she is very well suited for the job. 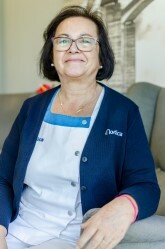 Always happy to help her colleagues out, Victoria loves the teamwork ethic that is so evidently a key factor of Nordica's success. Therese, originally from Sweden, has lived on the Costa del Sol since 2006. Having joined the Nordica team in 2018, she heads up the maintenance department and is described by her colleagues as a calm and helpful influence. Therese thrives on the challenges each new day poses and says "the gratitude [she] receives when a problem has been solved makes all the hard work worthwhile". 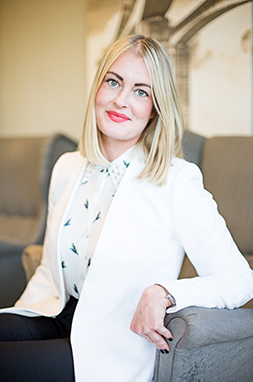 She is a key link between homeowners and tenants, so the customer service skills gained from previous jobs as an air stewardess and hotel receptionist come in very handy. Outside of work, Therese is involved in running a small dog shelter and loves being outdoors - whether it be running, walking or practicing yoga.